The second Learn2Change Academy took place from the 4th of September to the 16th of September 2017 in Lower Saxony and Bremen, Germany. It had a similar structure than the first academy. Again twelve educational activists from Africa, Asia and Latin America had been invited. The academy started with a one-day introductory meeting. After that the group was split up into three workshop groups who worked on a topic that the preparation team had been identified as important for the network before: online learning and communication or basic concepts and beliefes with two different specializations. After the work in the small groups and a weekend of free time, the whole group met again for a conference that was open for other participants as well. The second Learn2Change Academy ended with two days of evaluation and closing after the conference. On this page you will find more information about the three regional workshops and the conference. From the 5th to the 9th of September 2017 three workshops took place in three different places in Lower Saxony and Bremen, Germany. In every workshop five to seven participants of the Learn2Change network worked together on a specific topic to feed the results later into the network. Furthermore they prepared a session for the Learn2Change-Conference regarding their topic. The workshop took place at the Virtual Academy of Sustainability at the University of Bremen, Germany. 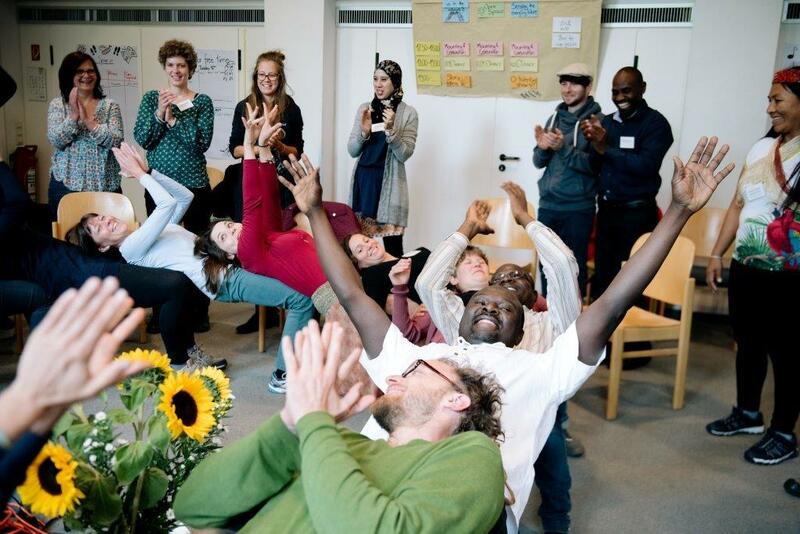 Participants from Brazil, Germany, South Africa, Tunisia and Uganda developed a structure for communication that fits with the needs and limits of the Learn2Change network and its participants. Furthermore, they developed ideas for specific topics and formats for online learning, e.g. webinar and skype-expert-interviews. During the workshop they got to know institutions and good-practice-projects like Chat of the Worlds, the Virtual Academy of Sustainability, the Bremen Information Center for Human Rights and Development and the Department of Geography Education of the University of Hannover, met people of these projects and exchanged ideas. During a public discussion at the Übersee-Museum Bremen the Learn2Change experts discussed with other educational experts about “Communication in international networks and the role of social media”. The results and the knowledge gained during the workshop were presented by the group during the Learn2Change-Conference and built the ground for the further development of the online-communication and ongoing online-learning activities of the network. Here you can find the programme of the workshop and the invitation to the public discussion. 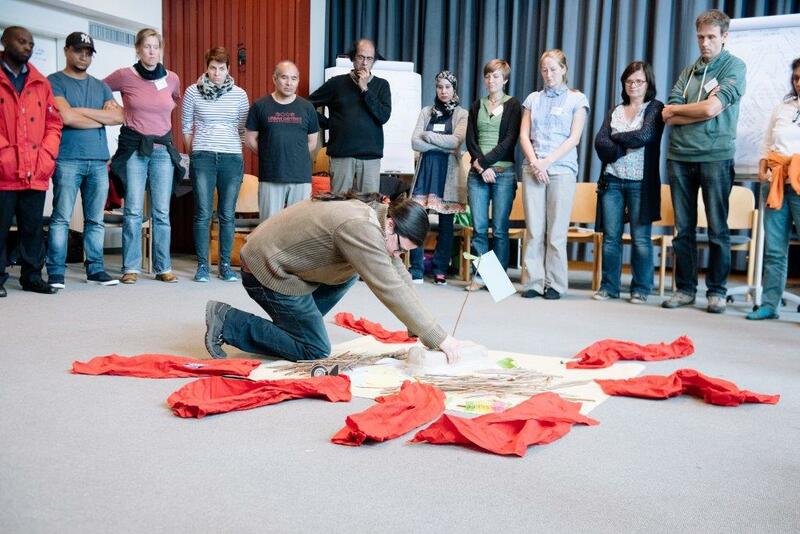 The workshop took place at the Anti-War-House Sievershausen, Germany. Participants from Bangladesh, Germany, India, Nicaragua and Sudan shared and tried out successful educational methods and tools related to the topic of the workshop. A guiding question was how civic action can work for us if we have diverse perspectives. Key differences pointed out for network members have been survival, social security, economic situation and political situation. During the workshop, the participants got in contact with people from institutions and good-practice-projects like JANUN Climate City Walks, the State Agency for Civic Education in Lower Saxony, Fair-Trade-Companies in Schools and the project Peer Leader International. During a public discussion at the Town Hall in Hannover, the Learn2Change experts discussed with other educational experts about “Global Learning and civic action for social and ecological transformation”. The results and the knowledge gained during the workshop were presented by the group during the Learn2Change-Conference. The network responded to the results and will go on working on joint action for empowerment, having in mind the key differences and considering how these affect the future joint Action. Here you can find the programme of the workshop and the announcement of the public discussion. The workshop took place at the Lebensgarten in Steyerberg, Germany. Participants from Chile, China / Hongkong, Colombia, Germany and Malawi shared and discussed basic concepts and believes underlying our educational work and shared educational methods linked to the concepts. Main questions were: How do we relate to Mother Earth? Which philosophies / concepts do we use in our work or as a background? What is the motivation in our work? The idea was to concretize the concepts and link them to our work / network without agreeing on “one size for all”, but still have discourse on diverse concepts. During the workshop, the participants got in contact with people from institutions and good-practice-projects like the Ecovillage and Permaculture Garden at Lebensgarten Steyerberg, the Regional Environmental Center Steinhuder Meer and the Association of Development Policy VEN in Hannover. 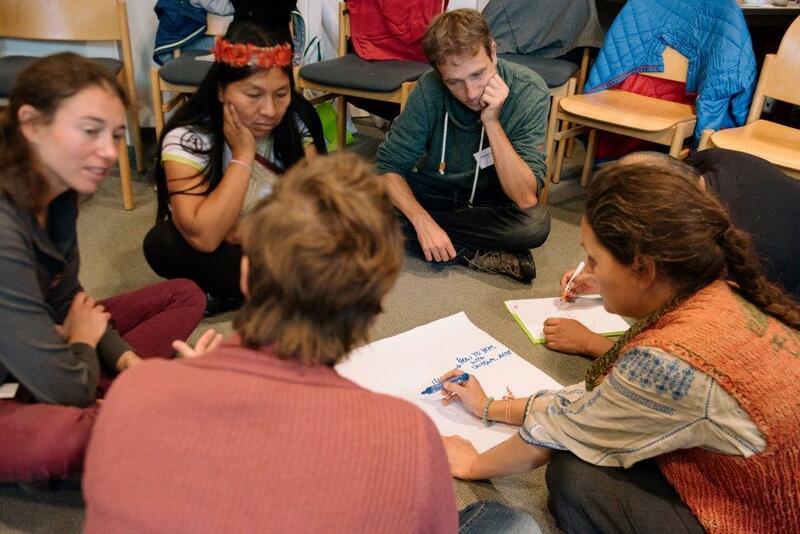 During a public discussion at the Environmental Center in Hannover, the Learn2Change experts discussed with educational experts from Germany and from Ecuador about “The relevance of indigenous people for climate protection”. The results and the knowledge gained during the workshop were presented by the group during the Learn2Change-Conference and built the ground for the further development of the network, especially for the conceptual discussions to be published in the Learn2Change-Book. The second Learn2Change conference took place from the 10th to the 14th of September 2017 in the International House Sonnenberg in Germany. About 60 civil society activists from all over the world shared their perspectives on basic concepts and beliefes that are important for our work like Mother Earth’s Rights, Buen Vivir, Global Citizenship, Civic action and Engagement. Furthermore, they used this opportunity for global exchange to learn from each other and to exchange and develop learning methods and tools for fostering sustainable living in our diverse societies. Finally, the conference was used to strengthen the network and to develop and consolidate it.